The theme for 2018 was ‘Forests and Sustainable Cities’, so this year there is also a particular focus on making cities a greener, healthier, happier place to live. • The role of trees in mitigating the impact of climate change. • The positive effects of trees on local climate. • Urban trees as air filters, removing pollutants and making cities healthier. • The positive impact of urban green spaces. • Forests in and around urban areas contributing to water regulating and filtering. • How urban forests contribute to local economies through city beautification and tourism. • The provision of renewable energy. • How trees can provide a source of fruits nuts and leaves to local populations. 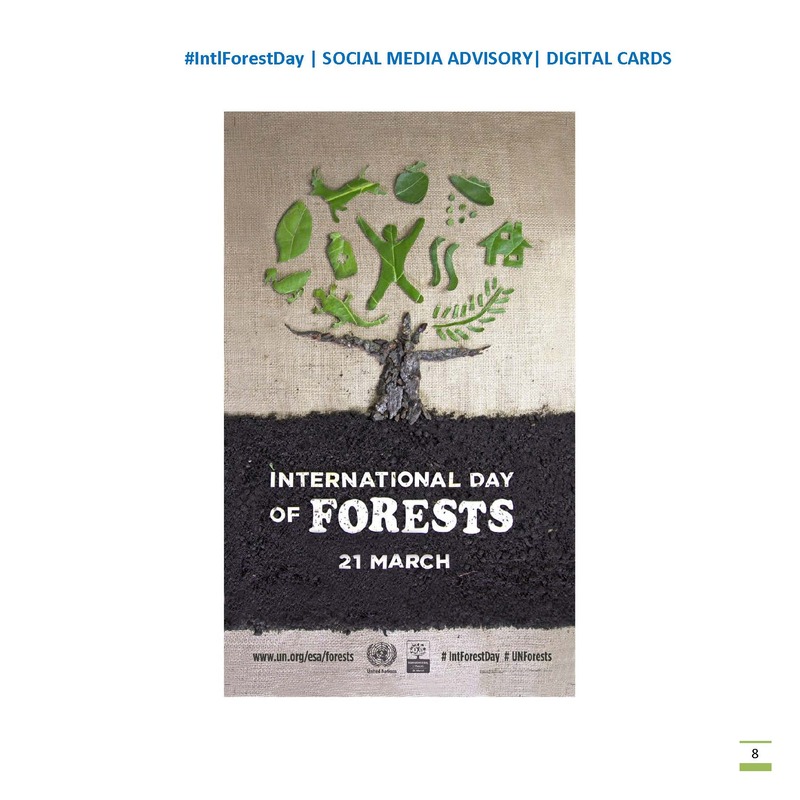 Many countries will be marking the day by organising activities such as tree planting campaigns, a list of events can be found at www.fao.org/international-day-of-forests You can also get involved on social media by using the hashtag #intlForestDay.